Pet and House Sitting Service Istanbul, Turkey - Find pets for sale on PetsBoom.com | Global free classified ads. We provide our clients with incredible, loving, and reliable pet and house sitting services. overly satisfied and and amazed in every way. 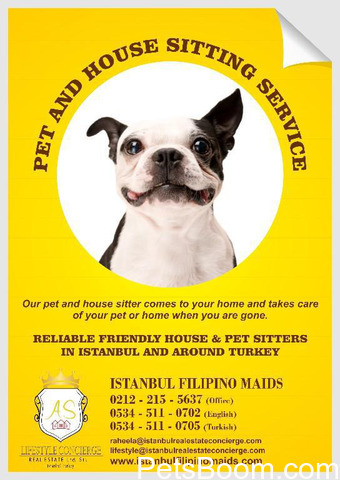 Call us today for the best pet and house sitting service..